I am currently working with a client that is interested in Tucker Hill. I would like to learn more about Tucker Hill as a community to educate my clients. Realtor News is an electronic newsletter that gives updates on inventory, realtor programs and special interest features. We welcome and encourage local Realtors to bring their buyers to our “must-see” community! 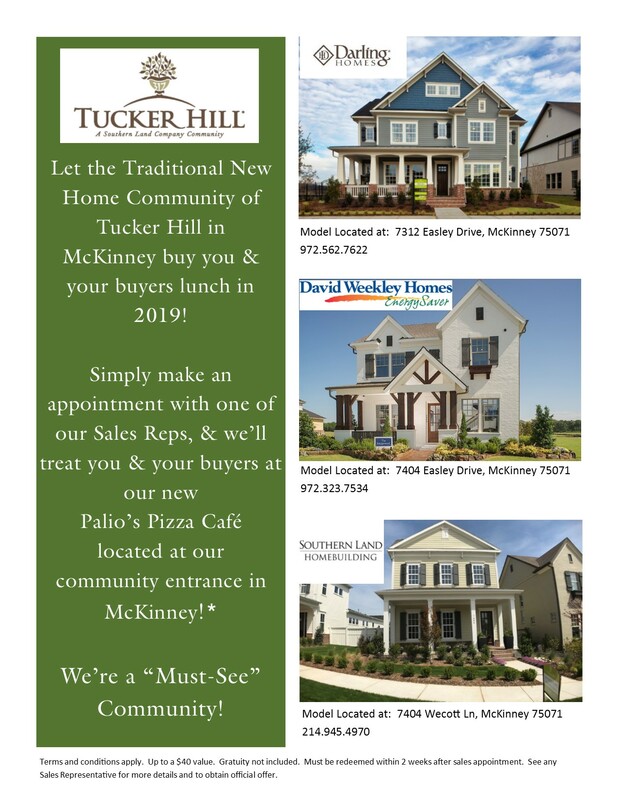 Tucker Hill/Southern Land Company has many plans for 2019 to host several model home events just for realtors! So, to receive our periodic realtor e-blasts and invitation to these special events, please sign up using the form on this page. New for 2019! We want to buy you and your buyers lunch! Simply make an appointment with one of our sales representatives and we’ll treat you and your buyers at our the new Palio’s Pizza Cafe located at the entrance of our community. Learn more here! In addition, our builders look forward to partnering with you and continually offer incentives and bonuses. Learn more about the 2019 Darling Homes builder promotions here. 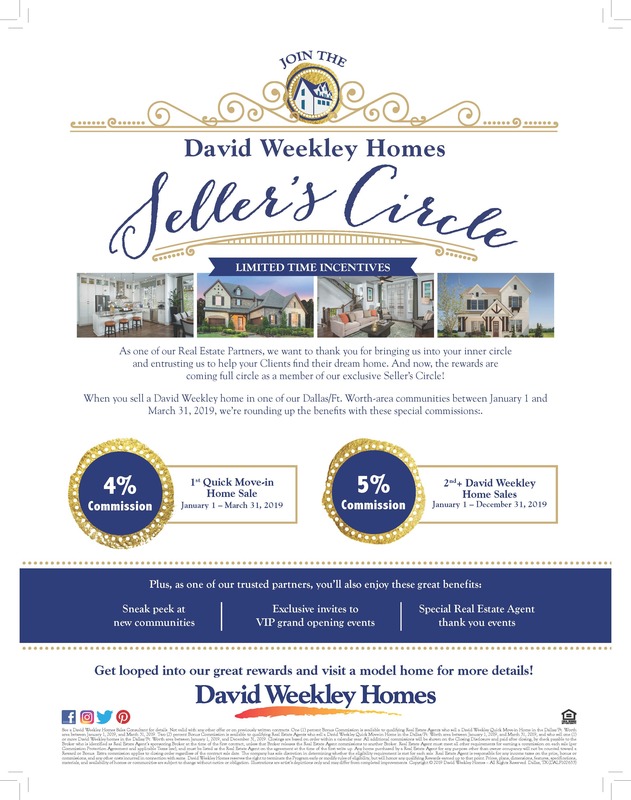 Learn more about the 2019 David Weekley builder promotions here.